Bead Size- Available in: 6mm- 24- 25 Beads and 10mm- 19-20 Beads Approx. 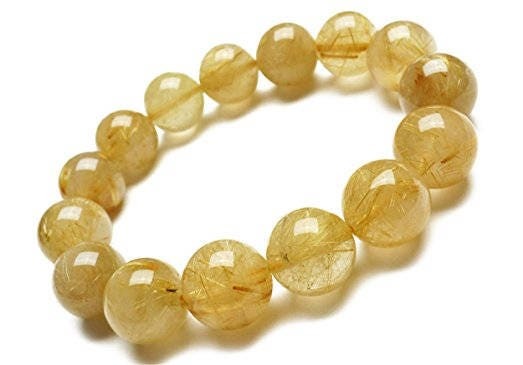 Rutilated Quartz is a transparent Quartz with golden yellow Rutile inclusions that are in hairlike growths. The Rutile inclusions range from thin, sparse, and parallel, to thick, dense, and crisscrossed, and everything in-between. Each Rutilated Quartz gemstone is unique in its pattern of Rutile inclusions.